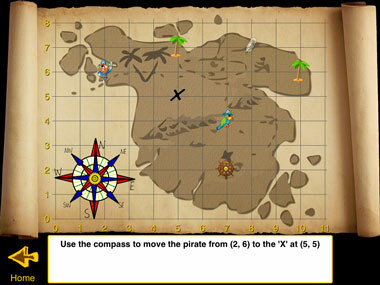 Little Monkey Apps Co-ordinates introduces basic to more complex skills of map reading and ordered pairs or co-ordinates. 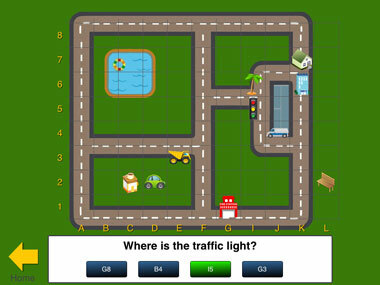 The App contains five modules, which focus on a different element of map reading skills and includes, compass directions, alpha-numeric (like a road map B6, F7), numerical (3,4) and negative xy co-ordinates (3, -7). 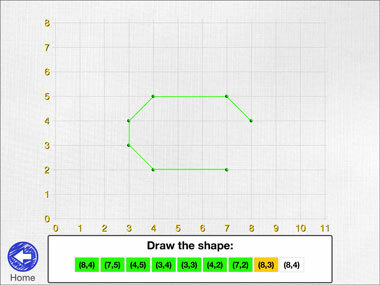 The App includes game like situations, asking users to manipulate, create and interpret maps as well as become more familiar with plotting on xy co-ordinates, including negative xy co-ordinate charts in four quadrants. This App has a wide age range from the first year of school to Year Nine. (Ages 5-14) It is a great pre-cursor to linear equations! 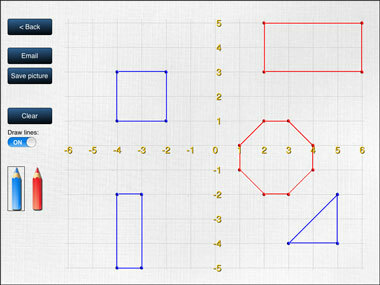 Write a series of co-ordinates and ask students to make the shape. In partners, ask the students to write down a set of co-ordinates for their partner to make their shape. Have one partner start a shape, and the other partner complete it! Good link to symmetry, irregular and regular shapes.